Metal and ForwardMotion invite you to FREE creative, artist-led workshops led by the innovative artist Nik Ramage. ‘A sculptor of the useless and absurd’. We are looking for collaborators aged 16 + who are interested in contributing ideas towards a large-scale, moving sculpture. The artwork itself will be fully formed from discarded bicycles, donated by Southend Recycle Centre to highlight eco travel. These free workshops are a great platform to discover art, design and engineering through collaborative sessions including drawing, model-making, collage and sculpture, working towards final ideas for a large scale kinetic sculpture. Following the workshops, Nik will complete a final artwork in his studio, to be exhibited at Village Green for 20,000 festival-goers to see. The artwork will also tour with ForwardMotion, appearing across South Essex to spread the message of green travel. We encourage anyone aged 16+ to attend, and are particularly keen to welcome people aged 16-25 to the sessions. Our space is fully accessible for wheelchair users. Mon 29 April – Fri 3 May 2019.
at Chalkwell Hall, Chalkwell Park, SS0 8NB. Introductory session. Hear an artist talk from Nik Ramage and discuss your individual green travel plan with the ForwardMotion team. Take part in a group discussion around sustainable travel and art. How can the two link? What changes can you make? How can artists be more sustainable? First step of the making process. Take part in short ‘warm-up’ creative exercises which explore sustainability. Explore your creative ideas by experimenting with drawing and collage of machinery and abstract sculpture. Discuss ideas within the group and share your thoughts. Kinetic elements. 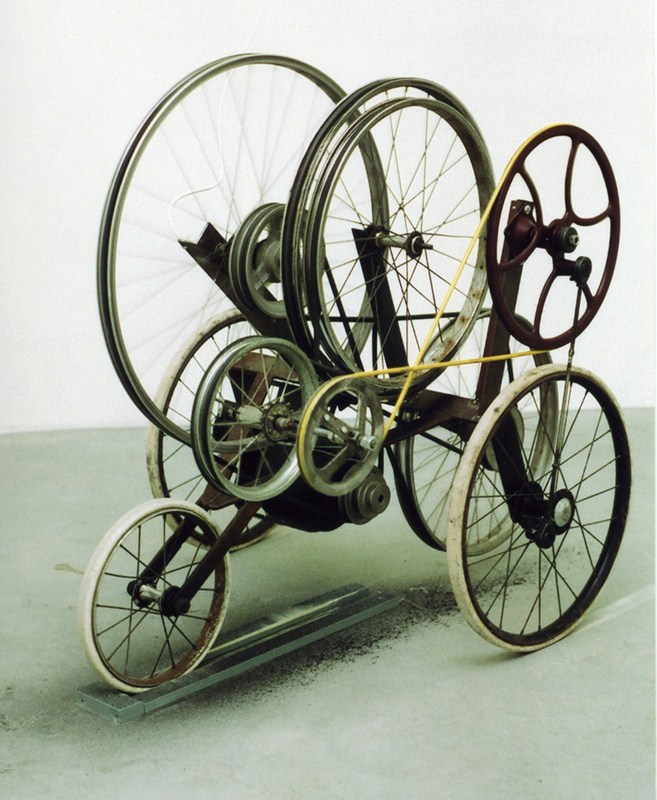 Learn about moving sculpture by seeing footage of Nik’s machines in action. 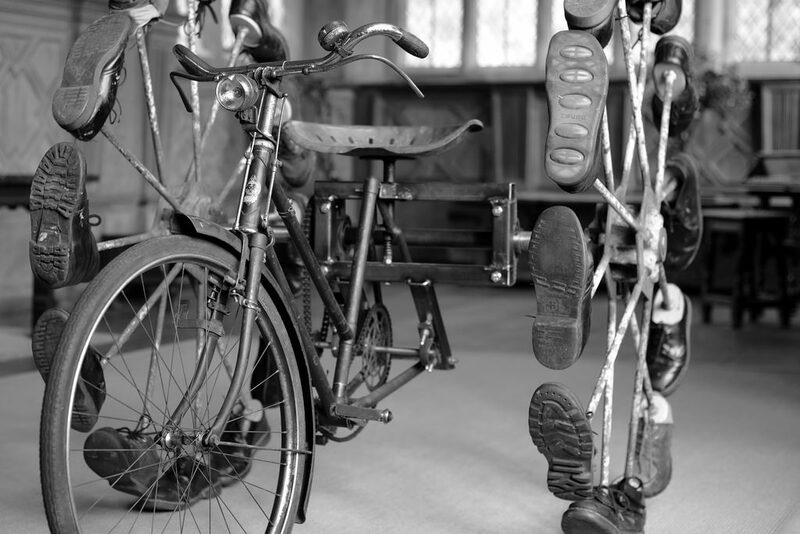 Test out your own designs through model-making and experiment with scrap parts from bicycles. Trade parts with fellow artists and build, seeing how your sculpture can evolve. Creative collaboration. Discuss current ideas as a group and look at how to combine separate, successful elements into one collaborative piece. Begin to troubleshoot any ideas which need work, and explore creative solutions by using models and scrap bikes. Drop-in sessions to feed in final ideas. Come along and reflect on shared ideas and offer your own final ideas towards the final artwork. Look back on all of the ideas found through our workshop week. Hear about Nik’s building process and how he tends to work in his studio. Hear his thoughts on what these ideas will lead to. To register, please CLICK HERE to fill in a short form. You can attend a single workshop, or as many as you like. We welcome people from all backgrounds to take part, particularly those who are interested in any creative subjects.